Today is the last day of 2015, can you believe that?! I know I've been telling you practically all week how excited I am about 2016, but I seriously am and I keep saying it because I want you all to be just as excited! I believe it's going to be a great year for all of us :) Anyway, you know that it would only be fitting for me to share a look that features some glitz and glam, such a dynamic duo for this holiday, specifically! 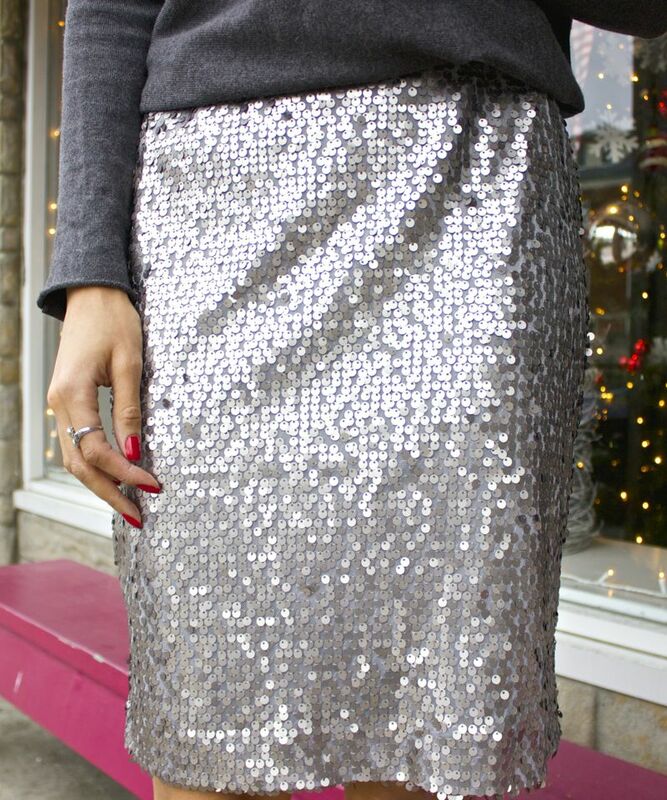 I opted for this boat neck embellished sweater, which is one of the most flattering necklines for all my fellow pear shapes, if I may add ;) I decided to pair it with this fun, silver sequin skirt, which I scored for $10 bucks in the clearance section at Marshalls over the summer. Guys, I'm telling you, you have to check out your local store! I tucked in the sweater, as it's an oversized loose fitting style and added a pop of pink with these radiant orchid pumps, which I absolutely love with the color grey or in this case, silver sequins! I hope this look inspired you, if you were unsure of what to wear for your celebration tonight! I hope you have a wonderful day and time spent with those closest to you ringing in the new year! I will have a post up tomorrow that will officially welcome 2016 and I hope you come back to check it out :) In the meantime, stay safe and have fun celebrating! Next: Hello 2016, Good-Bye 2015! Previous: Getting Ready for the NEW Year!